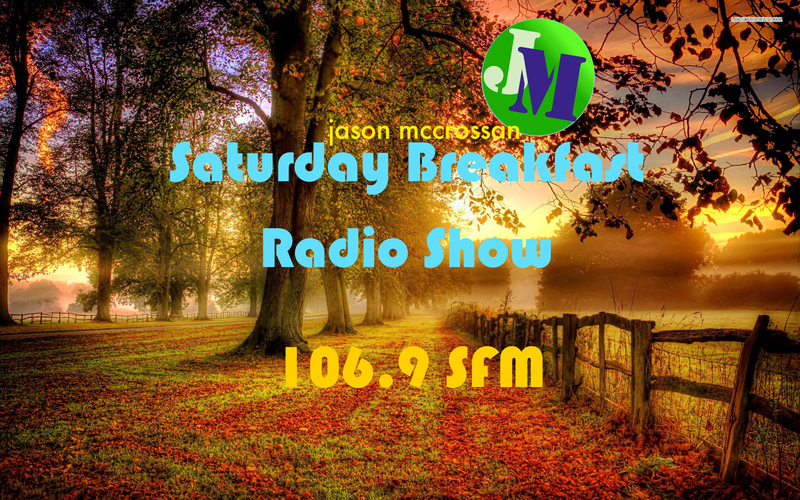 Jason McCrossan’s Saturday Breakfast Show is broadcast in Sittingbourne & Swale on 106.9 FM & everywhere else online. Jason will be asking you to contact Kyra with the names of any weather storms as asked for by the Met. Kyra reads our your responses. Also we ask “Who’s the Voice” in the first hour – followed by the poem To Autumn by John Keats – read by Gill Fraser Lee. After 8am we play the new Adele record called ‘Hello”; we also have a couple of 80’s classic quiz games to play; first it’s a special edition of the old radio 1 roadshow game “Bits & Pieces” with a slight twist; followed by Play Your Celebrity Cards Right where you guess which celebrity is the oldest. After 9am we start with our Saturday morning wake up song; followed by Pick Of The Number One Pops (1957, 1977, 1987, 1997 and the after the local & national news & sport at 9:30 with Jan we have a special edition of Blockbusters with the late Bob Holness. Jan brings us the national & local news headlines. The 106.9 SFM Saturday breakfast show is broadcast in Sittinbgourne and everywhere else onwww.sfmradio.com. On the show today: Who’s The Voice; in tranquil time the poem is WInter by Robert Louis Stevenson – read by Gill Fraser Lee; Feather Barkweasle brings us Blankety Blank after 8 and then at 9 it’s Pick of The Number One Pops. Kyra Cross brings us the latest from our listeners and travel.